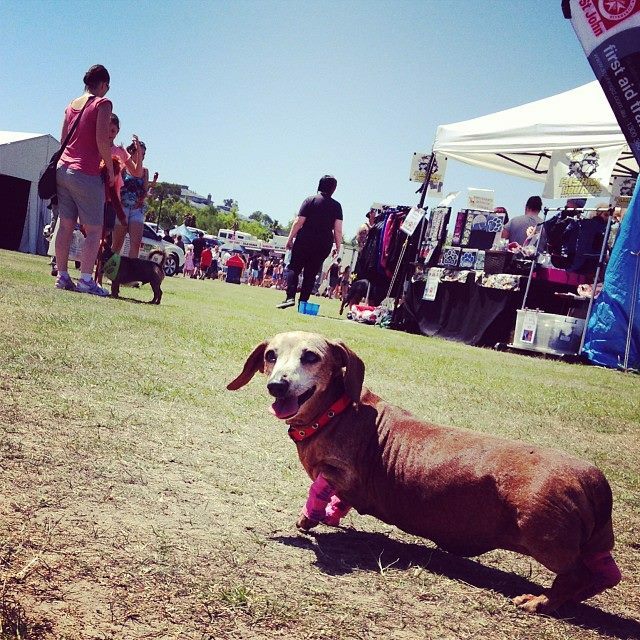 I attended the Gold Coast City Council Pet Expo last weekend with the Animal Welfare League Qld and despite severe sunburn it was the best day ever! To me the pet expo is the best opportunity to meet almost every breed of dog, (and their sometimes crazy owners) in the one spot! 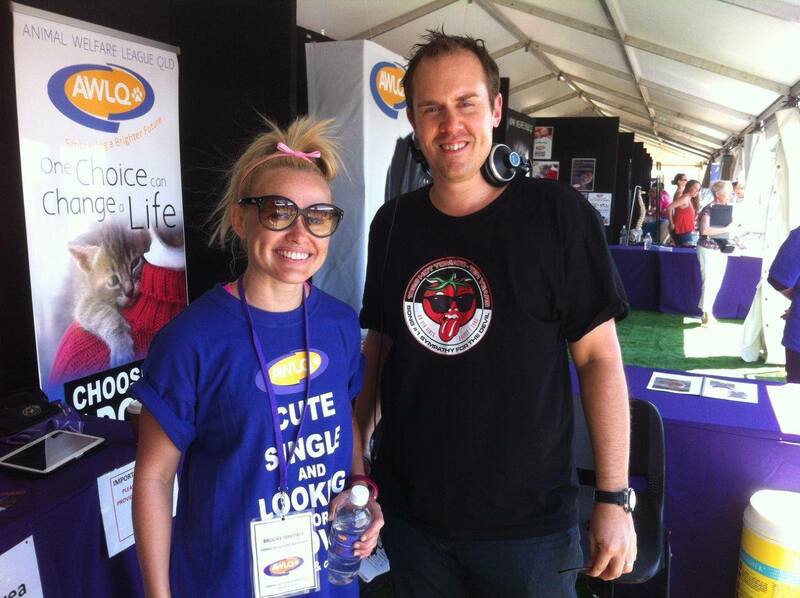 It was also great to catch up with some of my gorgeous foster pets who always stop by the AWLQ stand to say hi and show me how much they have grown. The vibe is electirc and everyone is so happy and supportive and proud to show off their 4 legged babies and it is a great celebration of all creatures great and small. Don’t you love our shirts? Cute, single and looking for love (our cats & dogs that is). Saying a quick Hi to Diana from K9 Photography and her gorgeous dog Evie – She is the famous photog of our Big Brother housemate Mr Clooney! 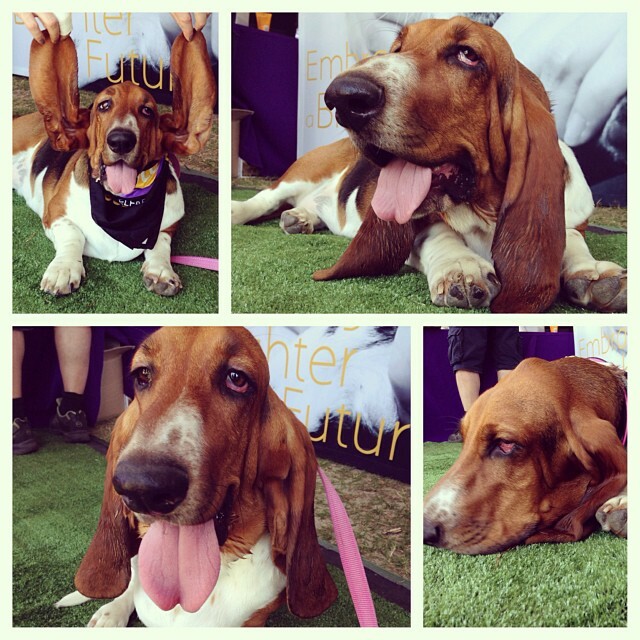 and Lulu the Bassett Hound. I like most people bring my work home with me…… A lot… It is not out of the ordinary lots of people do it, work overtime, weekends whatever it takes to get the job done, right? In my case though my work has 4 legs and a heart beat and big brown eyes that say “please give me some love I’ve been through so much”. 15 kittens and 3 cats. Our home has become a half way house. A place where animals come to recover from a multitude of illnesses, tick paralysis, k9 cough, cat flu or simply needing some time away from the shelter to cope with the loss of their previous family. Hans and Odie have become big brothers to loads of pets much to Hans’ delight and Odie’s detest. When I arrive home with a car carrier or dog crate my partner now gives me the same eye rolldand the sentence, “Brooke what have you brought home now?” followed shortly by “how long is it staying for?” He then hears the back story, gives the pet a hug and falls just as hard as I do. My latest foster pooch Rusty is going to be very hard to say goodbye to. The 4 year old Corgi has me wrapped around his little stumpy paw. For the last two weeks he has been with me everywhere. To work, to the gym and for walks with Sausage and Sanchez. His cartoon characteristics and beautiful demeanor is the epitome of the perfect pet. Which is why it is so horrible to know this gorgeous dog was dumped and left to fend for himself on the streets of Logan with an enlarged prostate and a bladder infection. He is a submissive dog and has seriously attached himself to me. He is my shadow, if i turn around he is there, he sleeps on the ground next to my bed and waits at the door if I leave the house.. When he is accosted or told no he lies flat on the ground or rolls over which breaks my heart. It seems he has had a less then perfect life before us. Today he was given a clean bill of health. After 6 weeks of AWLQ care and hundreds of dollars spent he is ready to find his perfect home. I am so grateful to have been able to help him in some small way along his journey to his 2nd chance and am overjoyed that I will be there on Sunday when he meets his new family. I have found Rusty the perfect home and I am so glad he is going to a family where I can still pop by and visit. 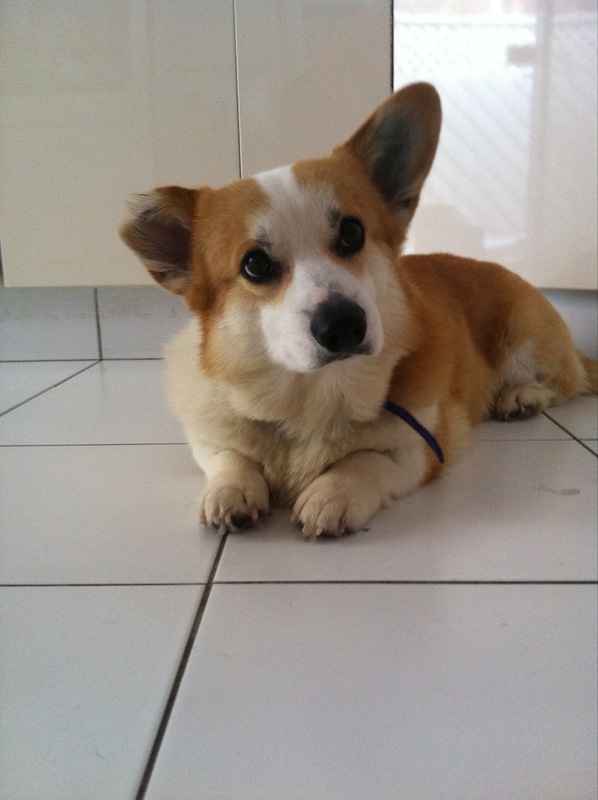 He will have another Corgi Brother named Hamish and is sure to be spoilt rotten! Check them out on YouTube on Rusty’s first night in his new home. The AWLQ does not turn any animal in need away from it’s doors, to do that they need the communities help. A high percentage of the animals who need fostering are kittens and puppies. These babies make up approximately 95% of the Foster Program requirements. The other 5% is made up of mums with babies (we try to keep these together for at least 5-6 weeks), and older animals who may need time to recover from surgery, non-contagious infections, malnutrition or from over-indulging. The fostering period can be anywhere from one week to eight weeks – each situation is different. Mums with new born babies rely on finding special foster homes. These carers would be prepared to keep all of them together for five weeks, at least, until mum can return to the shelter to be desexed and rehomed. Every situation is different but you can be sure that each and every animal need your help and are very grateful to have a temporary home with a family who can love them. The AWLQ provides food, bedding, bowls and everything else you can think of needed to care for the animal – they just nee you to provide the space and the time helping the animal recover. 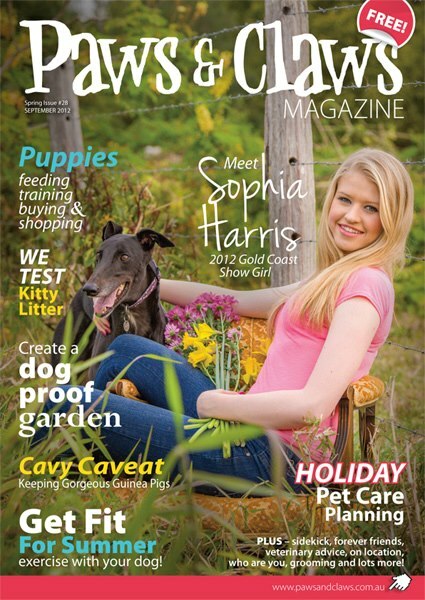 I am a huge fan of Paws and Claws magazine. Which is why I was so excited to be asked to write an article about Greyhounds and why they are such amazing pets. Pick up your copy of Paws and Claws from all good pet stores, rehoming centres and anywhere animal related or you can read my article below. At the Animal Welfare League of Qld Hugo sat in the sunshine in his cosy bed watching the world go by. For 4 months he would see dogs come and go and would push himself up against his pen wall when people stopped to say hello, hoping to get a scratch and a little bit of affection. Although not his ideal environment Hugo was content, he was safe and his racing career was a distant memory. Most Australians would be privy to Greyhound Racing – the national sport where long and lean dog’s race around a track after a stuffed bunny to win money for their owners. What you might not know however, is that around 20,000 Greyhounds are bred in Australia for the ‘sport’ of racing EVERY YEAR and less than half of these make it to the track. Thousands upon thousands of healthy, young Greyhounds are destroyed each year for no other reason other than they become surplus to racing industry requirements. There is a phenomenally high mortality rate for these dogs and a huge misconception about the temperament of the breed as a direct result of the racing industry. Greyhounds make amazing pets. Gentle, quiet, and affectionate they are not considered a high energy dog and in fact when indoors, they will often curl up and take a nap. Greyhounds are good with children and often compatible with other family pets. The greyhound is not prone to excessive barking and is generally easy to housetrain. Due to the lack of knowledge about this majestic breed, Greyhounds that are lucky enough to be surrendered to a shelter after their racing career finishes will often stay for months at a time watching potential families pass them by. The Animal Welfare League of Qld currently has six ex racing Greyhounds currently calling their Gold Coast rehoming centre home. For ‘Hugo’ his new beginning came in early August when a lovely girl named Megan saw his photo online and knew she had to meet him. “A picture tells 1000 words and his photo was just beautiful. His eyes are to die for and I immediately fell in love”, she said. 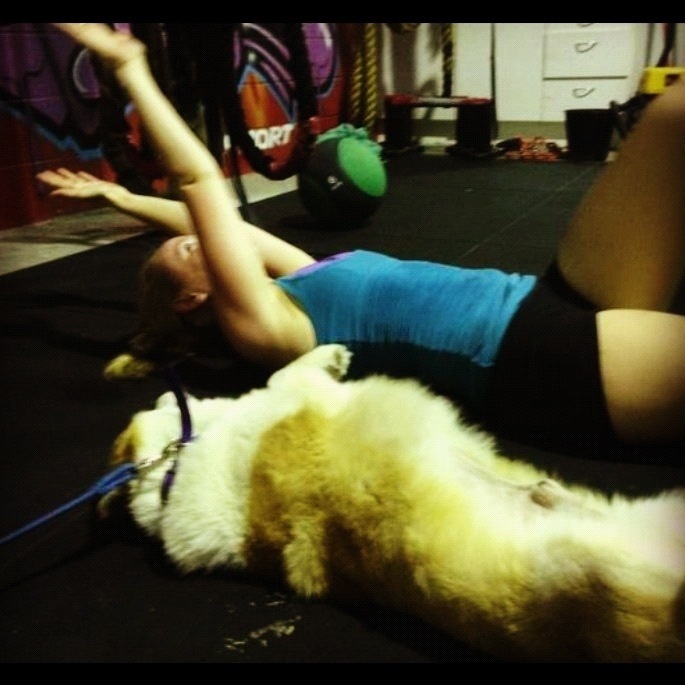 Megan had never owned a dog before but says she can’t imagine a dog more perfect then ‘Hugo’. “He gets on so well with our whole family and is perfect with my 3 year old niece and 4 year old nephew. “He has the most amazing personality and is so well behaved. He doesn’t smell or shed hair, he is just perfect”. AWLQ spokesperson Brooke Whitney said that the day ‘Hugo’ found a home the entire shelter stopped to wave goodbye and held back tears of happiness. “Hugo holds a special place in all of our hearts and we can’t wait for the days to come when all of our Greyhounds start their new beginnings in homes that will truly love them and treat them the way they deserve to be treated”. ‘Hugo’ loves human companionship. Any chance he got to lean on his dog walkers he would, he craves affection and is a real smoocher. This type of behaviour is typical of the breed which makes them an ideal family pet. “Greyhounds are faithful and loyal and adore their human families,” Brooke said. The Animal Welfare League of Qld is known for their creative rehoming campaigns and their latest ‘Adopt Cuteness, Adopt a Greyhound’ had social media sites buzzing. “It was great branding for Greyhounds and our aim was to promote the positive attributes that they all possess”. 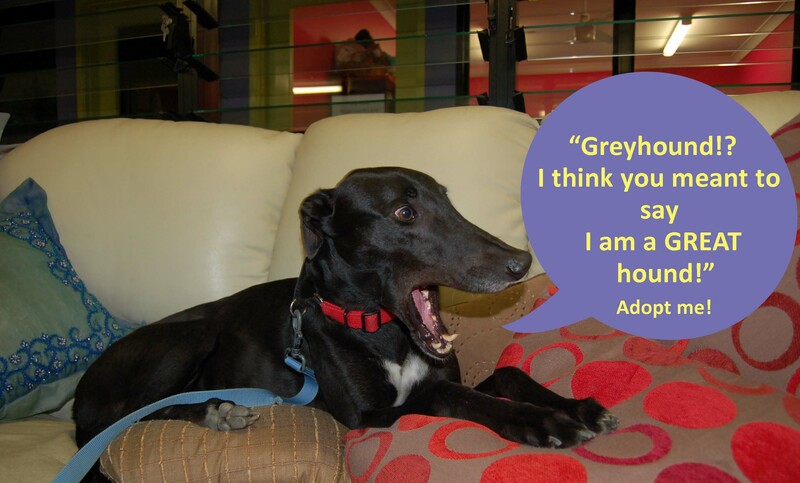 “The Greyhounds currently in our care have a thriving support network online who share their photos, their stories and ask after them on a daily basis. Our supporters were so thrilled to see ‘Hugo’ find a home after months of waiting”. 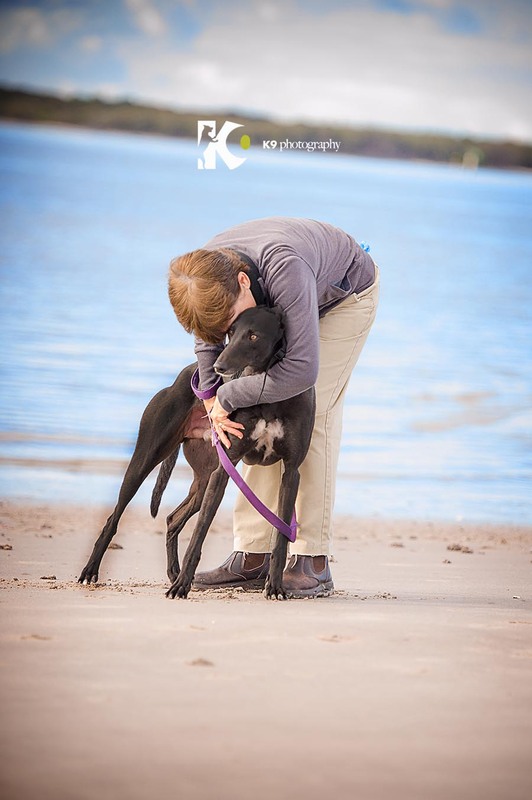 The Animal Welfare League of Qld will continue to find homes for Greyhounds and be active in working with Friends of the Hound and other rescue organisations to help give these beautiful animals a second chance at a new beginning. 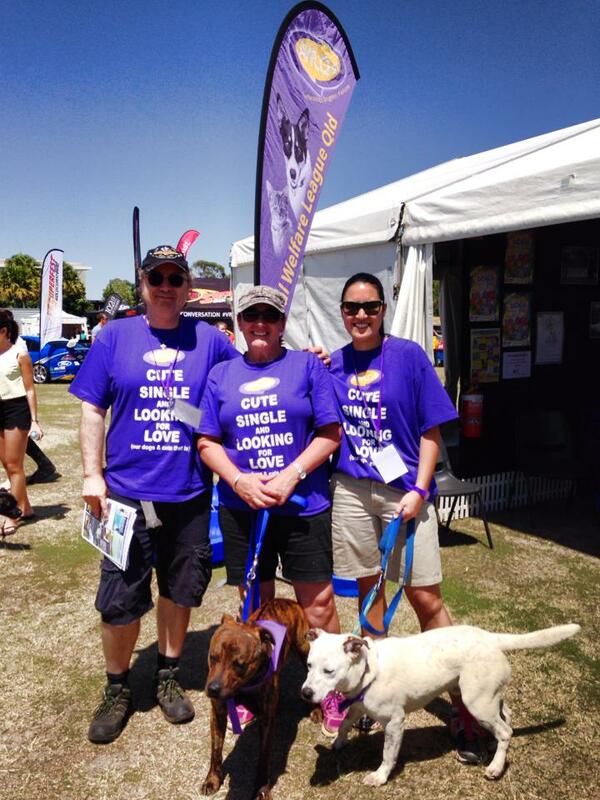 If you are looking to extend your furry family then visit the Greyhound’s at the Animal Welfare League of Qld. There are dogs just like ‘Hugo ‘waiting patiently for their new beginning. 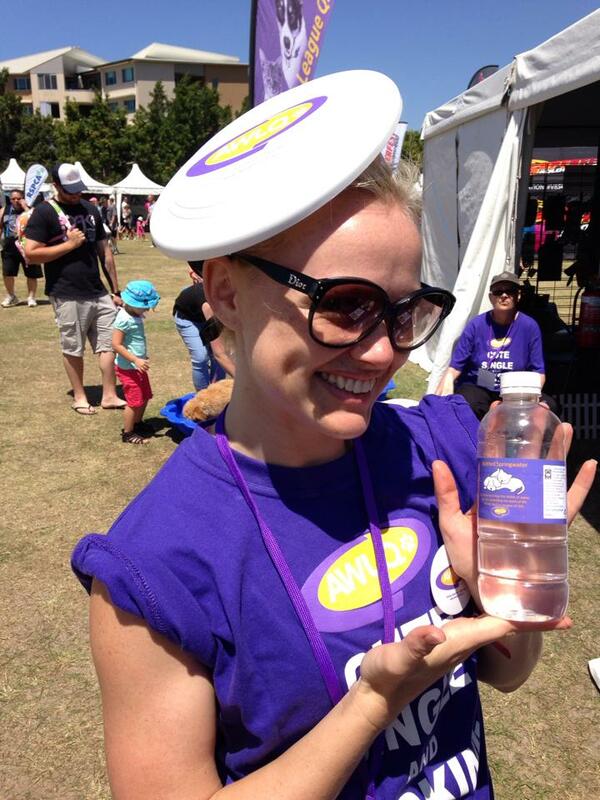 Visit awlqld.com.au for more information or like the AWLQ on Facebook. They are clean, easy to care for and gentle – even a child can handle a Greyhound. They rarely bark, usually only when something is wrong or when they get really excited. They are not generally suitable as a guard dog (however the size is generally a good deterrent). A patient and tolerant dog, the Greyhound is usually very good with children and due to their calm, sensitive and friendly nature Greyhounds are very suitable as Therapy Pets for Aged Care facilities and special needs homes. A walk each day is more than enough to keep them healthy and happy. 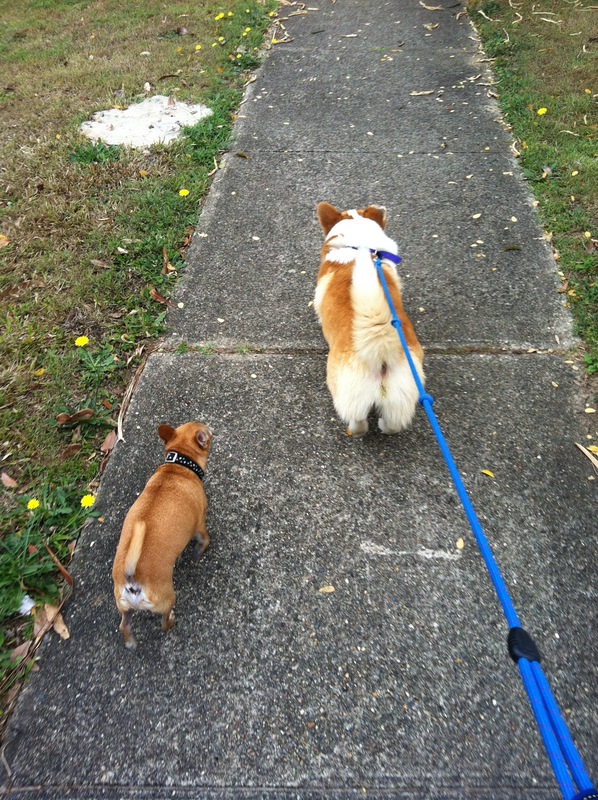 A small yard is fine, particularly if they are getting regular short walks. Greyhounds tend to be “couch potatoes” and are content to laze around on their cosy bed or on the lounge beside their owners.